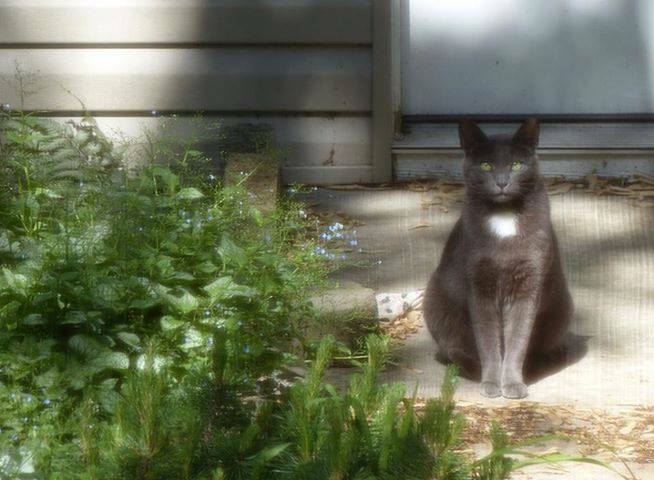 A few weeks ago I met a woman on a Facebook neighborhood group because she was asking how to find a feral cat that went missing from her yard. It turned out she was a caretaker who has done TNR, trap-neuter-return, and her colony was just a few blocks away from my Joyce Division Colony. I love networking! Here is her beautiful story about how she started TNR and has been caring for this missing cat, Kitty Farrell, since 2009. Kitty in her caretaker’s backyard. Kitty then turned up with her back leg dragging behind her. She was clearly injured and needed medical help, so I dropped off some traps for her caretaker to use. I also wanted to meet her in person. She first ended up trapping another cat that required TNR, so she took him to PAWS’ low-cost clinic. He’s named Sprocket, short for “Spray Cat,” because he used to spray her yard everywhere. 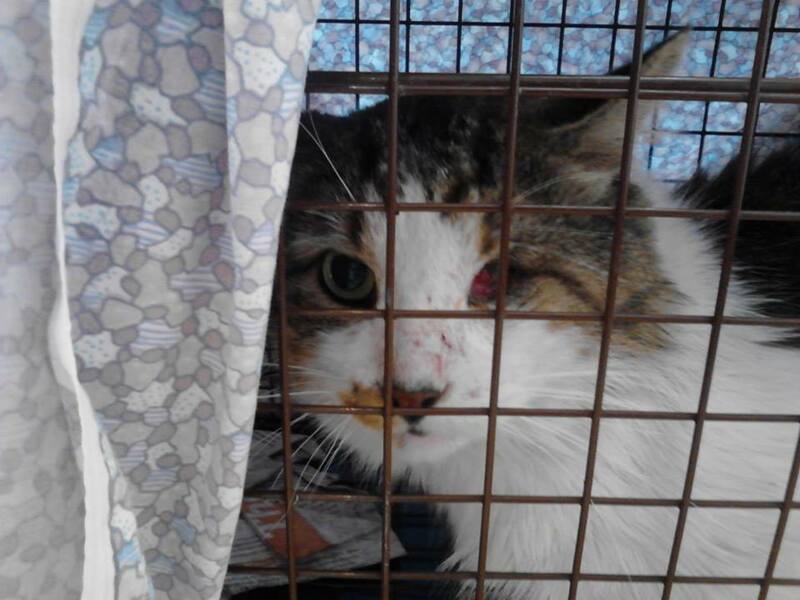 TNR stops that behavior because cats lose their territory drive after being spayed/neutered. As you can see from the photo, one of Sprocket’s eyes is tiny and malformed. The vet said it was fine and not bothering him. Of course the caretaker will re-trap Sprocket for further vet care if needed. Another week passed before Kitty Farrell showed up again, this time with her back leg tucked up behind her. The caretaker made a drop trap, and thankfully managed to trap her yesterday, where she immediately took her to the vet. The vet amputated her back leg, and she will have to be in recovery for a week until the stitches come out. What happens after that remains to be seen. The caretaker is willing to permanently adopt Kitty into her home. Please keep your fingers crossed that Kitty will make a full recovery! < Previous: Do I Look Like Lil Bub Now?